We’ve received new official images and product details for the upcoming Spider-Man: Far From Home LEGO Sets. There are three officially revealed sets, each with an assortment of minifigures, such as Mysterio, Spider-Man, MJ, and Nicky Fury. Those include: Molten Man Battle Hydro-Man Attack Stark Jet and the Drone Attack These are all listed as “Coming Soon”. But with the movie releasing on July 5, 2019, the sets shouldn’t be too far off. Check out the high resolution images and full details after the jump. 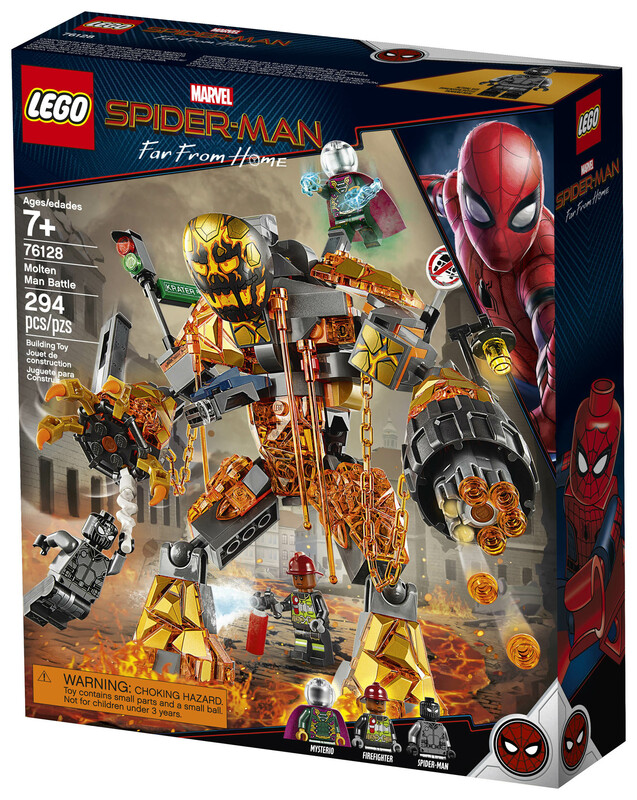 LEGO® Marvel Super Heroes Spider-Man Far From Home™ 76128 – Molten Man Battle 294 pieces &#187; Continue Reading. The post Official Photos of the Spider-Man: Far From Home LEGO Sets appeared first on The Toyark - News.